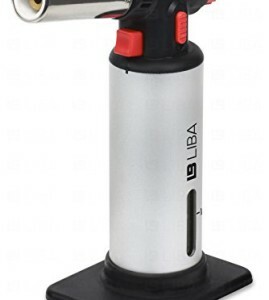 Mother’s Day is around the corner, and I’ve been on the hunt for some great gifts. This year’s Mother’s Day will be extra fun because my grandmother will be flying in from Taiwan and celebrating with us in person! If anyone has any great brunch spots in San Diego, I’d love to hear about it! Here’s a round-up of gifts that are sure to please. A couple of years ago I discovered La Maison Maille in New York at their Columbus Avenue boutique. Maille has been crafting their art for more than two centuries. Though it sounds like a high end clothing brand, Maille’s specialties are actually exquisite mustard and vinegar. Here’s a fun fact: Maille was the official supplier of mustard and vinegar to the court of Louis XV. With flavors that infuse ingredients such as black truffle, currants, and herbs de Provence – the mustards from Maille will surely please moms who like to jazz things up in the kitchen. Pre-arranged gift sets make it easy for you – they combine best selling mustard flavors with a bottle of vinegar. Inspired by the skincare rituals of Japanese geishas, Tatcha offers some of the most premium skincare products on the market today. Starting the brand modestly with the gold flecked blotting papers – the Original Aburatorigami – Tatcha now offers a complete skincare range for all skin types and concerns. I personally love the Classic Rice Enzyme Powder – a creamy, water-activated 2-in-1 cleanser and exfoliant. For a gift, the Ritual Discovery Kit is a good start to introduce moms to the brand with some of their best-selling items. My mom and I discovered Guerlain’s Aqua Allegoria at Sephora one year, and she has been obsessed ever since. Aqua Allegoria is a continuously renewed collection: each spring, a new limited-edition Aqua Allegoria joins the four legendary permanent creations. Although her favorite, the jasmine scent has since been replaced, the collection never fails to disappoint. Sweets have always been a weakness for the women in my family. My mom’s favorites include cheesecakes and crème brûlées. For those of you who are great in the kitchen can think of making your mom something sweet in the kitchen. I’ve made macarons before for my mom. This year, I plan to make some crème brûlées with my mom using this recipe and a handy little kitchen torch. 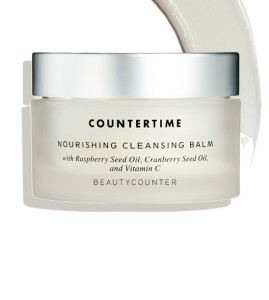 Beautycounter is a great skincare brand based in Santa Monica, with a strict “never list” of ingredients that they do not formulate with in order to to adhere to their mission statement, which is to give consumers safer products. I’ve tried a number of their skincare products and have been quite impressed, especially with their Nourishing Cleansing Balm. It’s a rich cleanser that is intensely hydrating and perfect for dry California heat. Dissolves makeup like a dream and leaves skin feeling hydrated and clean. I left mine behind at home on accident during a visit to my parents’, and my mom happily took it, used it, and fell in love with it. To all Moms—a very happy Mother’s Day!